Scammed Out of Your Pension? Enormous respect for the gentlemanly and (IMHO) restrained manner in which Henry Tapper has written his blog about the FCA and Debbie Gupta. The latter is blaming IFAs for “failures to call out bad practice” and claims her “view of the industry is not as positive as it could be”. I have never come across Debbie Gupta before. I am wondering what planet she has been on for the past six years. Victims, concerned members of the financial services industry and I have literally been hammering at the FCA’s door repeatedly. And all we have to show for it are red knuckles and chipped teeth from excessive gnashing. In his blog, Henry quite rightly points out that “The spirit of collaboration will win, confrontation won’t.” It is a well-known fact that one wins more battles with honey than with vinegar. But two terrible wrongs have to be righted: Gupta must learn not to spout utter garbage that she knows nothing about. And Andrew Bailey must be sacked. Let us be clear: the FCA is an embarrassment to Britain. The cost of the FCA’s many failures is borne by IFAs in terms of levies to the FSCS as well as soaring professional indemnity insurance premiums. And the thousands of victims whose lives have been destroyed by fraudsters operating under the very nose of the FCA. Before Debbie Gupta sticks her big foot in her mouth any further, I would suggest she attempts to learn something about scams, scammers and scamees. She should come and spend a week with me. Sit up until midnight talking distraught victims out of suicide a couple of times. She should go to Port Talbot with Al Rush and talk to some steelworkers and hear their tragic stories for herself. Finally, Gupta should take a long hard look at the number of FCA-registered firms that have facilitated or committed financial crime. And then she should not just take back her ill-conceived words, but apologise for the profound disrespect and contempt she has shown the British advisory profession. I have experienced at first hand how difficult (impossible) it is to get through to the FCA. Last year, I wrote a blog about my last visit. I wonder what more I could have done to “collaborate” with somebody – anybody – at their magnificent offices. 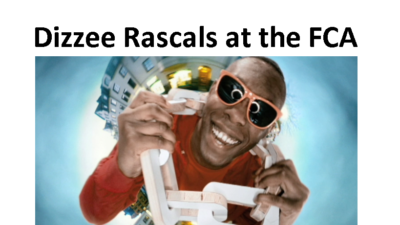 I came pretty close to taking all my clothes off and singing “Bonkers” by Dizzee Rascal while shaving my head and reading Tolley’s Pensions Taxation. But still the FCA refused to speak to me. Even the guy in the post room made it clear I was a blooming nuisance when I handed in my whistleblowing report. (Which was, of course, ignored – and probably shredded). 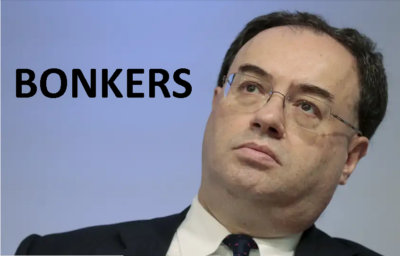 Stop paying ridiculous, offensively-high salaries to no-hoper executives like Andrew Bailey. Bailey has shown he has neither the inclination nor the ability to run a regulatory authority. Throwing away nearly £600k a year on such a failure isn’t going to make him want to change and start doing a bit of regulating from time to time. Bailey is laughing all the way to the bank as he sits in his luxurious office and does SFA at the FCA. At the industry’s and public’s expense. Buy some ladders. Window cleaners known how to use them – so I’m sure the nitwits at the FCA could try to copy them. The fat, low-hanging fruit only account for a tiny percentage of the offenders – all the really bad guys are at the top of the tree. Take action against FCA-registered scammers. One appalling example is Gerard Associates which helped Stephen Ward scam 100 victims out of their pensions in 2014 and into toxic, high-risk, high-commission investments such as imaginary eucalyptus plantations. The scam, London Quantum, was masterminded by Ward and used to ruin dozens of victims – including a police officer. Gerard Associates provided the FCA-regulated advice. And remains FCA authorised to this day (even though it is in liquidation). Buy a bunch of hearing aids. And listen to people. To IFAs and the industry in the UK and offshore; to the public; to me. Take part in Andy Agathangelou’s monthly Scams and Scandals conference call – and learn a huge amount from experts and victims alike. Update the FCA’s Whistleblowing section on the website. It is three years out of date. Reach out and invite the industry and the public to report suspicious activity – make it easy for people who take the time to stick their necks out. Welcome them with open arms and show them you care. And actually do something about the whistleblowing reports (don’t just shred them like they did with mine). 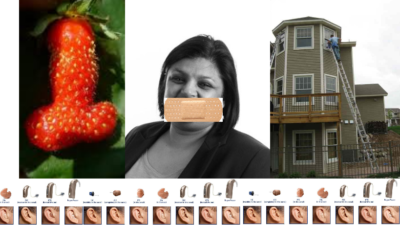 Demote Debbie Gupta to Junior on the Whistleblowing team – and pay her £41k a year like the other 12. Make her learn what this industry is really about. And teach her to keep her mouth shut until she begins to understand the seriousness of what she is talking about. Once she has learned some sense and memorised the immortal words of Dizzee Rascal: “Everybody says I got to get a grip, but I let sanity give me the slip”. She might then be ready to do a bit of regulating. All the above will save the FCA nearly three quarters of a million pounds a year. It will only cost a couple of hundred quid for a few dozen hearing aids and ladders. Andy Agathangelou and his team will give their advice for free. I know several dozen victims who will happily help out. By getting rid of the dross at the FCA, and providing just a bit of training for staff in the reception area and post room (as well as all the way up to the board room). It should be possible to turn this embarrassing, limp failure into something half decent. I do hope the FCA will like some of my above ideas – after all “There’s nothing crazy ’bout me”. And I totally get where you are on this Angie. I’m in the fortunate position of being able to meet the Chair of the FCA next week and I will be feeding back to him that message about collaboration rather than confrontation. You are in the unfortunate position of having to clean the mess up. I get it. It’s a thankless quest. The FCA are too busy hounding honest regulated IFA’s because they are an easier target. Going after the crooks requires they have to do some work! Same can also be said of Action Fraud! Gavin Newlands, MP for Paisley & Renfrewshire North raised a question in the House regarding one of his constituents having invested £20,000 in Nuunnn & McCreesh’s Blackmore Bond – mini bonds have become the new black for scammers – https://hansard.parliament.uk/Commons/2019-03-14/debates/F2A0FEF5-5B87-4986-8709-D67FB7F0CC90/BusinessOfTheHouse?highlight=blackmoor#contribution-9199AA67-BC12-4EFD-8872-176AD5E62698 and I wager Mr Newlands’ constituent is neither sophisticated nor High Net Worth and should not have been offered this unregulated high risk asset which contravenes the Financial Services Marketing Act! In 2014/15 Nunn & McCreesh were raising subscriptions on their unregulated collective Blackmore Global using their own firms Aspinal Chase & Pensions & Life UK Ltd together with the unregulated advisory firm Square Mile International Financial – the BBC reported my story in Jan 2018, https://www.bbc.co.uk/news/business-42776709 and yet no one has been prosecuted or sanctioned and the actors continue to trade with impunity. I reported my case to Action Fraud and was told they weren’t going to investigate it – that would require some work! Prior to that Nunn & McCreesh earned almost £1m generating leads for the Capita Oak & Henley scam between 2012 & 2014 – https://pension-life.com/store-first-v-insolvency-service-battle-the-insolvency-services-witness-statement/ – that scam is now over 7 years old and Nunn & McCreesh took their £895k and moved on to start their own unregulated collective Blackmore Global in 2014 and their latest incarnation being the Blackmore Bond selling unregulated mini bonds! What on earth are the authorities playing at? I even submitted my story to Frank Field’s (MP) pension freedoms inquiry. I think it got a small mention somewhere but again, the scammers continue freely to walk the streets of Manchester and make vast sums of money out of retail clients [mis-]sold unregulated mini bonds. Bondreview has made numerous blogs about Blackmore among other things https://bondreview.co.uk/2019/04/02/blackmore-bonds-temporarily-closes-to-new-business/ but they still continue without any scrutiny by the useless authorities. Angie, Henry, – It’s a Sisyphean task and there will never be justice because no one cares! You are lone voices in the wilderness. I wouldn’t say “nobody” cares. But the FCA definitely doesn’t give a monkey’s.